I can’t wait to have spring again, really. I’m so longing for those flats playing. Especially when it comes to pretty girls playing with her flats. This dark haired girl was sitting on a bench with her little brother. They were eating french fries while resting after a shopping tour, just to mention. I started capturing from behind under the bench and got a wonderful heelpop show of the girl. Eventually they freed a seat so I took place beside her on the bench and captured her bare feet from the side angle. This was the moment when the girl crossed her legs and started a pretty dangling show. 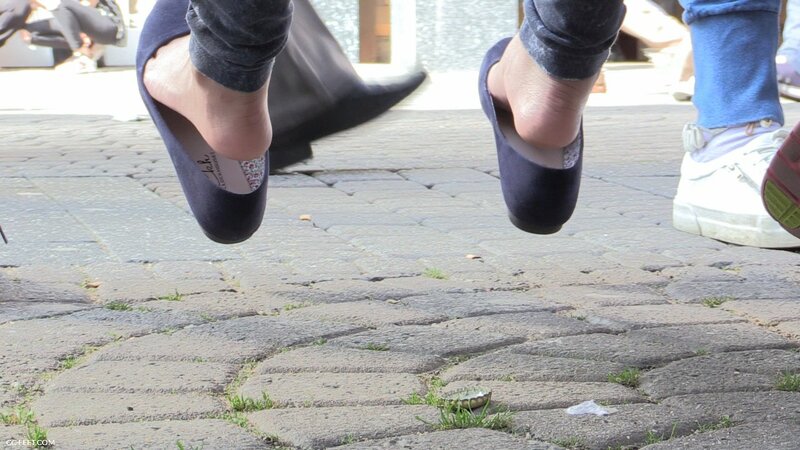 When the girl stopped her dangling, she dipped in her flats again and even pulled her feet outside of her flats. In summary this 15+ minutes clip is full of heelpopping, throwing feet in the air, beautiful toe cleavage views and more of a pretty youthful girl.